For those who want to stay informed and inspired, there are plenty of musical artists who still make records that are melodically engaging AND lyrically challenging. For the better part of 30 years, Latin Quarter has remained one of those bands. While not as prolific as fans would like them to be, Latin Quarter has not lost the spark that ignited their souls in the early ‘80s. 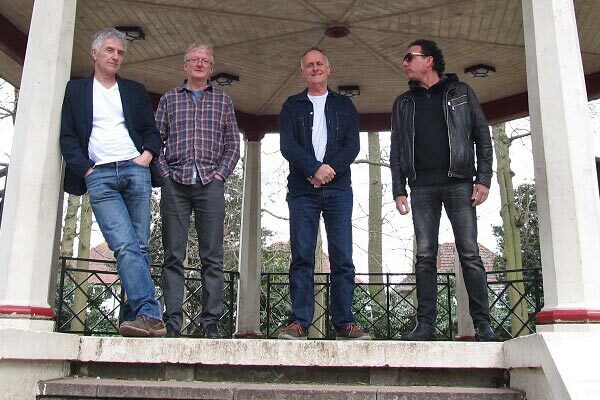 Their 2016 album, THE IMAGINATION OF THIEVES, is perhaps their finest full-length since their 1985 debut album, MODERN TIMES. Although their 2012 ‘comeback’ album OCEAN HEAD and the 2014 follow-up TILT were near-perfect, this release is chock full of lovely moments that evoke a time when songs were written from the heart and not on an assembly line. Vocalist, writer and guitarist Steve Skaith, who released the excellent acoustic LATIN QUARTER: BARE BONES album last year, is still a master of melodies. Where bands like Gang Of Four pounded their messages into your brain with their jagged, edgy Post-Punk muscle, Skaith and LQ are far more subtle. They have a way with a tune that reaches down deep and massages your heart while the lyrics keep your brain cells working overtime. Sometimes, the songs may take a few spins to really sink in but they provide the ultimate payoff – you become emotionally vested in the music. Far more gentle and acoustic than their ‘80s releases, Latin Quarter has changed with the times while staying true to their cause. Their sound now is earthy, warm and inviting. They are not singing at you, they are inviting you into the room and singing to you. While the lyrics (by Skaith, Mike Jones and others) are the focal point of the songs, the real charm is in the simple yet powerful melodies that surround them. And there’s no denying that keyboardist/producer/songwriter Steve Jeffries has become an integral part of the band’s sound. As on Skaith’s solo album last year, his keyboard work enhances the beauty of the melodies, creating an ethereal feeling that floats around Skaith’s still brilliantly earnest vocals. Just listen to the beautiful piano melody on “Dylan Thomas Was Right” to fully understand how important his musical input is. Songs like “Below The Water,” “Thieves’ Imagination,” “Should Have Been Buried,” “I Am Refugee” and “A Bank Robber’s Lament” are just as good if not better than anything LQ has released in their three decade career. 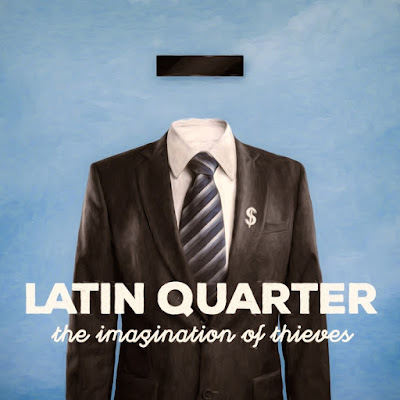 And while the band’s line-up has fluctuated over time (only Skaith, Jeffries and drummer Martin Ditcham remain from TILT’s line-up), their reason to exist is evident on THE IMAGINATION OF THIEVES - Latin Quarter is still one of the most musically and lyrically relevant bands in Pop music today. Long may they run.